Picture depicts a 7 oz. block of cheese. Feta is a classic and famous Greek cheese whose tradition dates back thousands of years and is still made by shepherds in the Greek mountains. 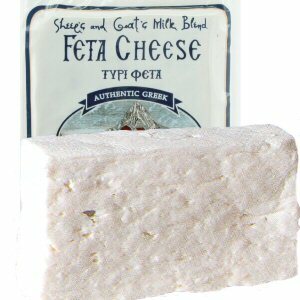 Mt Vikos has an outstanding feta cheese made according to authentic tradition in Greece. 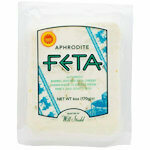 This gourmet cheese is a mixture of sheep’s and goat’s milk and made by a small family dairy in central Greece. The dairy was started by three brothers who have always made the cheese in small batches. The shepherds, who tend the herds, do the actual milking, and bring the fresh milk to the dairy every day. 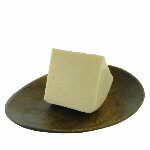 The cheese is aged in brine for 2 months, resulting in a firm, slightly crumbly and creamy texture. 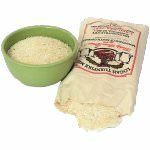 The flavor can be described as creamy, slightly tangy, clean like sweet milk. 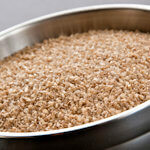 Ingredients: Pasteurized sheep and goat's milk, sea salt, cheese culture, microbial rennet.